In the summer of 2003, I saw Bruce Springsteen at Fenway Park. The next night, I saw Dave Matthews Band at what was then called the Tweeter Center. 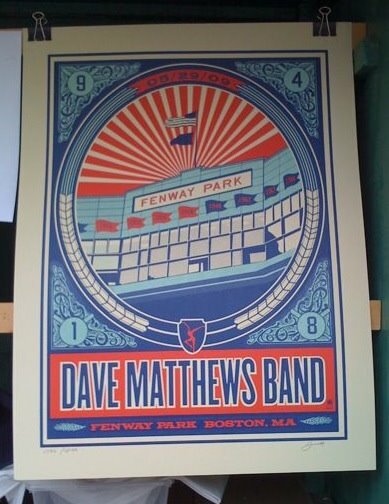 Suffice it to say, the DMB show paled in comparison and I decided to take a break from what was, at the time, an annual summer tradition of seeing the band live. 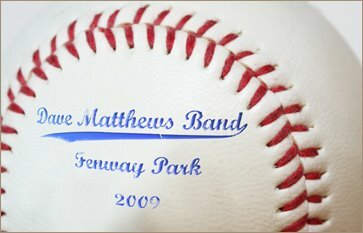 Six years later, DMB are back in town to play a two-night stand at Fenway (their last time there was in 2006), and after attending last night’s first show, I can say that absence sure did make the heart grow fonder. DMB’s excellent new album, Big Whiskey and the GrooGrux King, drops on Tuesday, and fortunately, I was able to download a leaked copy earlier this week. Given that the band played nearly half the album during Friday night’s show, knowing some of these tunes definitely helps. The entire band sounded really tight, with each member getting multiple chances to shine. Boyd Tinsley stole a great rendition of “Ants Marching” right out from under Dave, Tim Reynolds dominated a couple songs, Jeff Coffin established himself as more than a LeRoi Moore replacement on songs like “Jimi Thing,” Stefan Lessard played consistently good bass, drummer Carter Beauford kept the beat with a perpetual smile on his face … they all had bragging rights at some point. Other classics like “Pig” and “Grey Street” were mixed into the set list with the new stuff, as was a cover of Talking Heads’ “Burning Down the House,” and while that created an odd flow to the show — they’d play something everyone knew, then something new, back and forth — it all sounded mostly good. I say mostly, because sitting in the left field grandstand, it was hard to hear much of the music clearly. Between that aural limitation, and the fact that the infield creates more distance between the band and the audience, Fenway really isn’t the best venue for a show. At least, not if you’re not sitting in the outfield. Despite that, though, I had a really good time. And when the nearly three-hour-long show ended with a signature cover of Bob Dylan’s “All Along the Watchtower,” it just felt right.